Families and friends of two of the victims who died in a horrific taxi crash on Dumisane Makhaye Drive in Durban could not hold back their tears — as they bade them a final goodbye. The funeral service of 14-year-old Thina Ngiba and 13-year-old Luyanda Ngubane has been taking place at the Newlands East Secondary School in Durban while 14-year-old Ayanda Mtshali will be laid to rest in Empangeni in northern KwaZulu-Natal on Sunday. The teenagers died after a taxi allegedly skipped a red light and ploughed into them while they were on their way to school. One pupil was injured and is still recovering in hospital. Families and friends say they are still grappling to come to terms with the incident. They have asked government to review current bail conditions. This after the Ntuzuma Magistrate’s Court granted bail to the driver responsible for the deaths of the three teenagers. Families feel let down by the justice system as the driver of the taxi was granted bail before the families buried their loved ones. Sizwe Ngubane, speaking on behalf of the Ngubane family, says that it is a good thing that he does not know the taxi driver. Mthokozisi Sibiya, speaking on behalf of the Ngiba family, says that the bail conditions portrays the families as vultures. Dumisane Makhaye Drive is known to be a high accident zone. The community has called on government to intervene. Sipho Ndlovu, Principal at Newlands East Secondary School, says that they are requesting for speed humps at the intersection where the incident took place. The third victim, Ayanda Mtshali will be buried at Empangeni, in northern KwaZulu-Natal on Sunday. 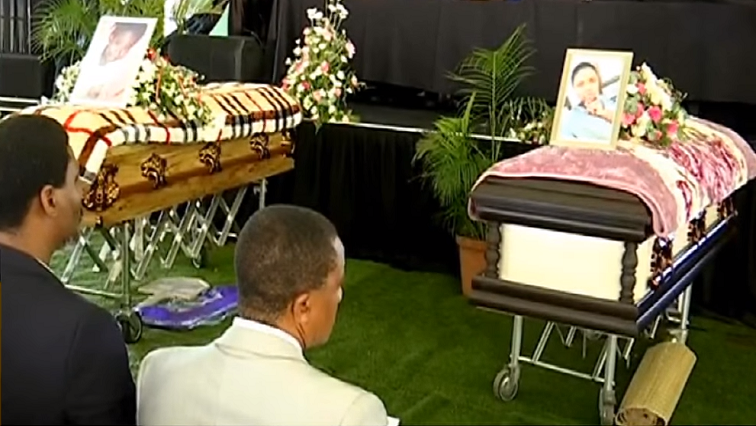 The post Durban pupils killed in horrific taxi crash laid to rest appeared first on SABC News – Breaking news, special reports, world, business, sport coverage of all South African current events. Africa's news leader..